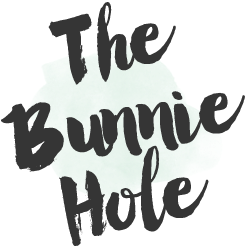 TheBunnieHole | Vancouver Youtuber & Blogger: Fashion: LouLou Magazine ~April! In an attempt to keep up with the ever changing beauty/fashion trends and for a little something different to read, I had gotten myself a subscription to LouLou, Canada's "shopping magazine". What in the world is a "shopping magazine" you ask? Well it's not a mail order catalog but it is a great visual compilation of who wore what and where you can find it for yourself. 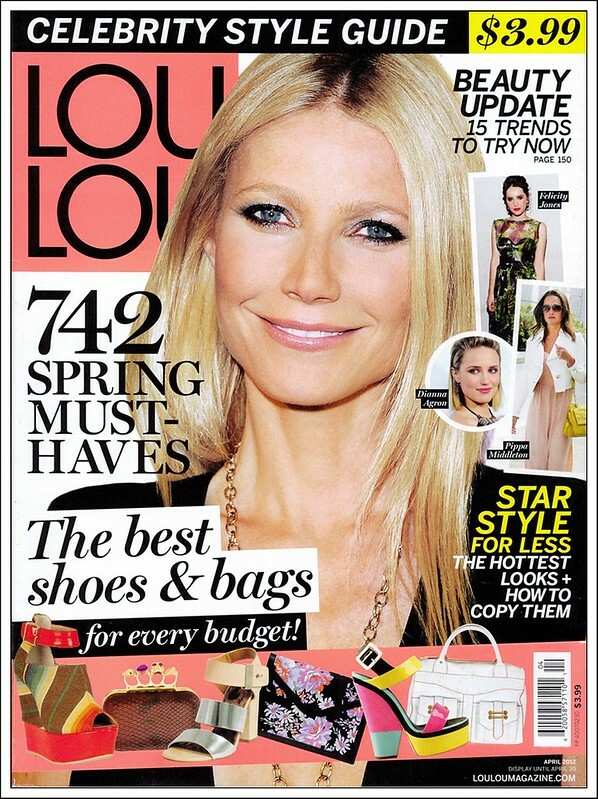 Aprils' issue features the must have items for spring along with a beaming Gwyneth Paltrow. The magazine never uses "cover girls" or anything like that, it's mainly just a compilation of street photographs and event shots. 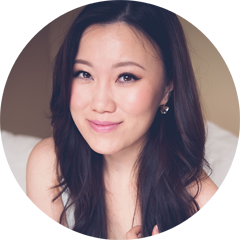 Never to disappoint, editor in chief Julia Cyboran has her own page to share her latest obsessions. Can you see me oogling that pretty yellow Jacob nail polish? But of course LouLou doesn't miss out on the beauty side of things either. I always look forward to the beauty segments to find out what's new and what's in trend. That gorgeous looking nail polish you see up there it the top corner? It's artist Johanne Corno and Lancome's collaboration. Must hunt it down for a closer look. My lost loved accessory wedges! What's even better? Wedges with floral print! 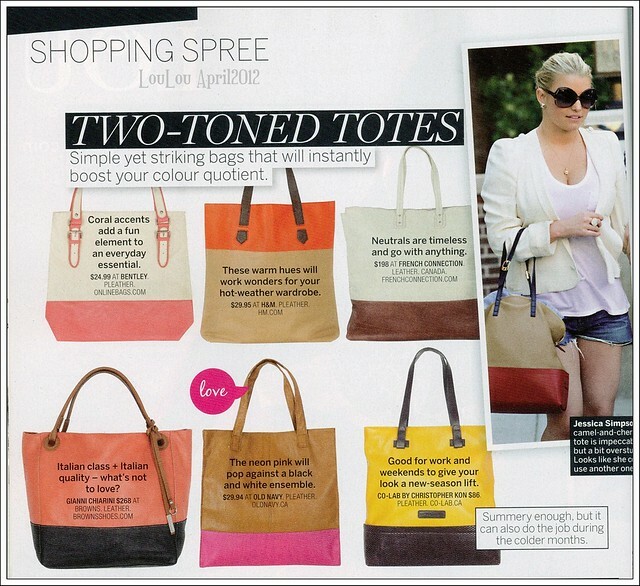 Colour blocking isn't just for clothing anymore, I've seen several magazines hyping up these duo-toned totes. Might be a good way to try out the trend if you are on the less adventurous side. These few photos come from the editorial section of Aprils' issue, I was in awe of the model...oh and yes, that chocolate edged pastel book bag as well. LouLou will be on the stands until April 30th. Reading these always inspires me to get some sewing done. Which page inspired you today? I want some floral skinny jeans so bad! but the day I finally got some $$$ I did not find any.. only some short ones so I settled for that.. but still looking.. 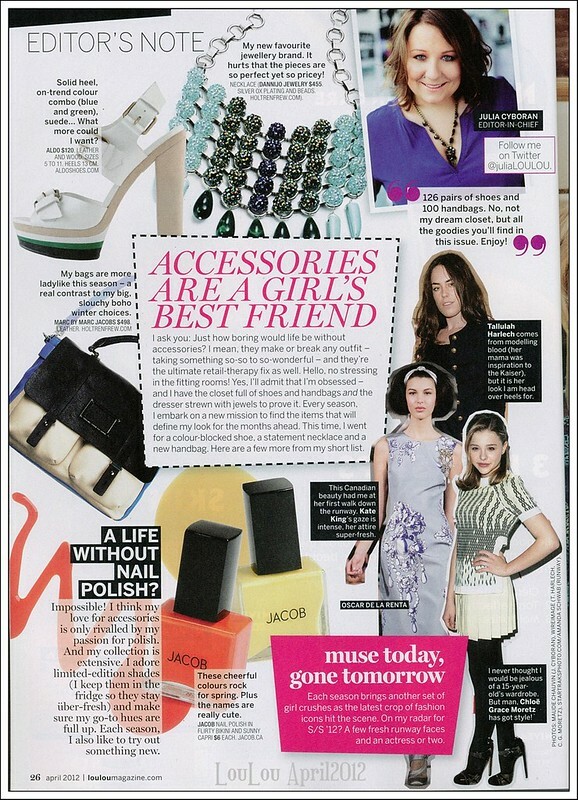 I love shopping guide magazines, especially when they feature clothes and accessorize on the more affordable side!